News flash: you can’t carry guns — unloaded or loaded — onto airplanes. And yet last year, Americans packed more firearms in their carry-ons than ever before, the Transportation Safety Administration says, most of which were loaded. TSA officers intercepted 2,653 firearms in carry-on bags at airport security checkpoints across the U.S. last year while screening a total of 700 million passengers, the agency says, in a nearly 20% increase from the previous record-setting year. Of those, 2,198 (82.8%) were loaded. 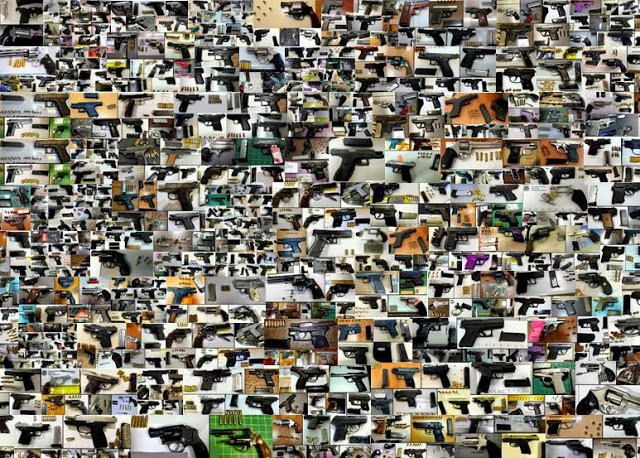 In 2014, TSA officers founds 2,212 guns in carry-on bags. The agency attributes the number of guns discovered to the intervention of its officers. Weapons are prohibited in carry-on bags, but can be transported in checked bags — if they’re unloaded, properly packed, and declared to the airline. what would bruce wayne do?